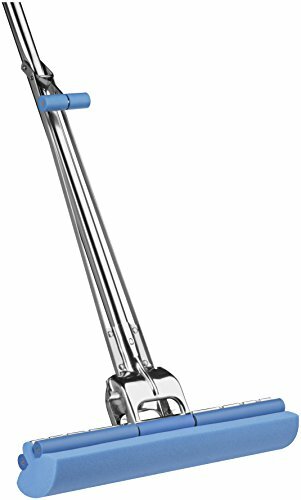 The Vileda Professional Original Stainless Steel Roll-O-Matic® mops are the best choice when seeking one mop to apply disinfectant, clean surfaces or absorb spills in all production and controlled environments. These Stainless Steel Roll-O-Matic® mops are manufactured to resist repeated autoclave cycles and continually be exposed to the common chemicals and disinfectants used in the controlled environment marketplace. Roll-O-Matic® handles are manufactured specifically to accept Vileda Professional manufactured refills. Each of the 10" wide mops will accept the 10" wide Roll-O-Matic® refills; each of the 14" wide mops will accept 14" wide Roll-O-Matic® refills.